Photo of my feet by www.kennethgreene.com. He's one of my students. He likes socks. It would make a great drawing subject, but I only draw from 'real life.' Kenneth has challendged me to do something creative with this... hmm. 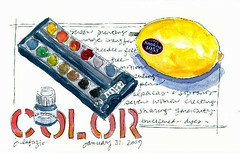 There are a couple of opening in my workshop "Sketching & Watercolor: Journal Style Sunday, March 29 in Laguna Beach, California 10-4pm $90 per person (includes all your supplies for the day) The class is geared for beginners, but all levels are welcome. 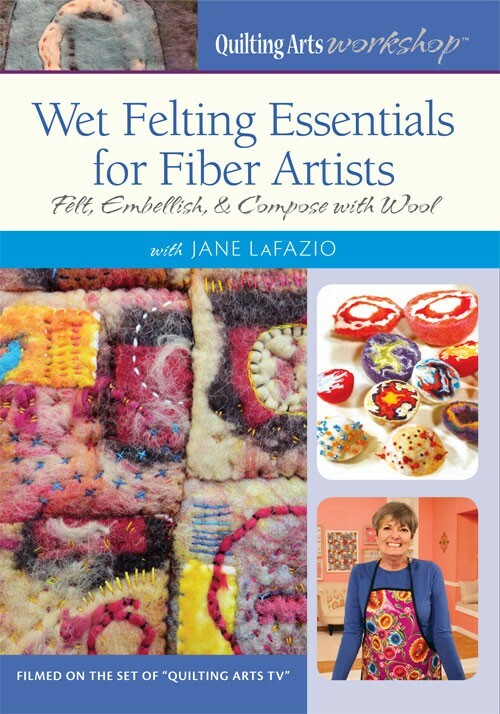 Register with Sue foursue@aol.com All materials are included in the fee. Bring a small camp stool or folding chair, hat, sunscreen and bag lunch. 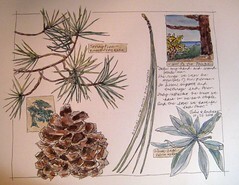 The artwork was done at Torrey Pines State Park. 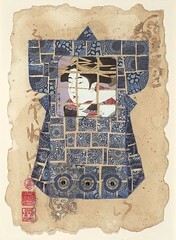 My monthly art quilt class is open for registration. It's ton of fun, and the class fills up quickly. 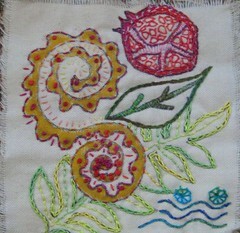 Description: Create art with cloth and use fabric to tell your own special story. 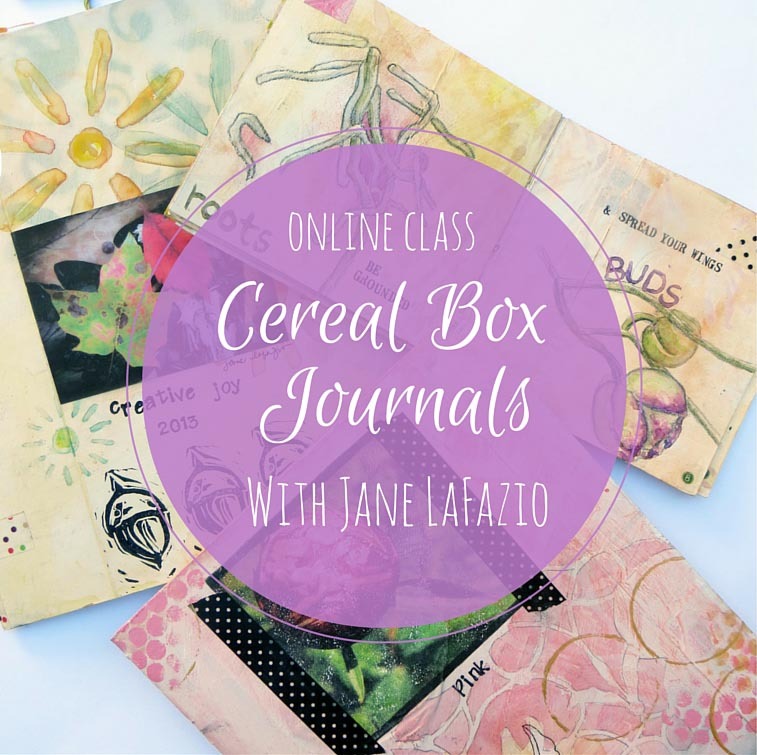 Each month you'll learn a new technique or be inspired by a new theme. Learn painting and transfer techniques, embroidery and embellishments, and create your own original small art quilt each month. There are no patterns, ever. 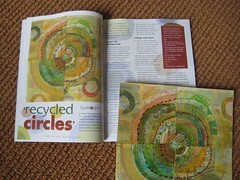 Jane is building a national reputation as an art quilter; you'll see her works at galleries throughout the country and in magazines like Quilting Arts and Cloth Paper Scissors. 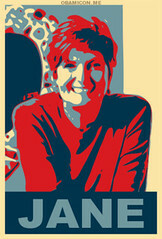 See Jane's work and check out her blog at http://www.plainjanestudio.com/. Yippee. 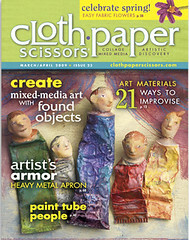 I have another article in my fave magazine, Cloth Paper Scissors. Here's the cover. I'm on page 20. 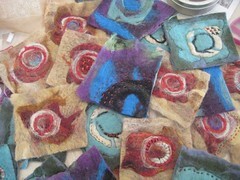 Some friends came over yesterday and we rit-dyed cotton and bamboo batting ala Judy Coates Perez (Quilting Arts Dec/Jan 09). Here's my new stash! Husb and I saw "Since Africa" at the Old Globe on Sunday. I highly recommend it! 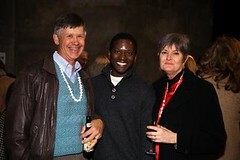 Here we are at the reception (honoring Mo'olelo Performing Arts 5th Birthday) with the star of the play, Warner Miller. 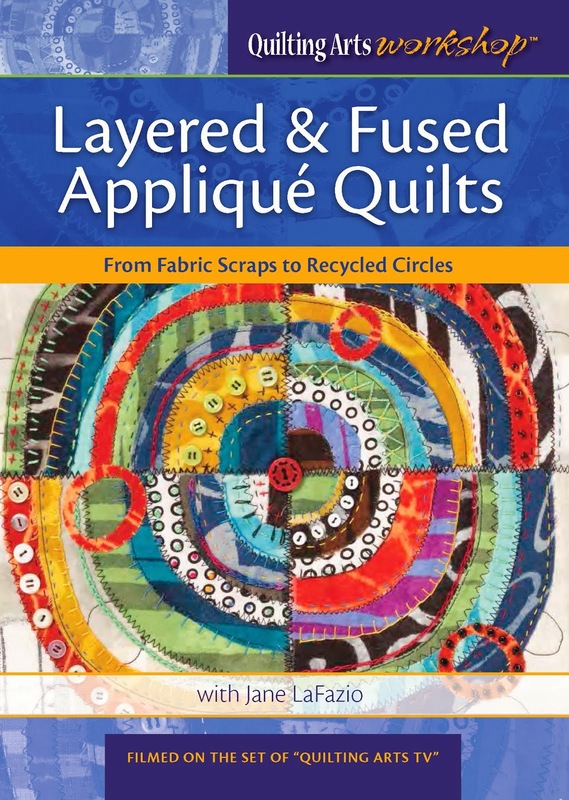 I'm doing a show and tell at Legacy Quilt Guild (in Lakeside, CA) on Thursday night. I've been told they are more into traditional quilters, so I'll be telling my story, showing my art quilts and then....? So I'm going to give them a little project to start work on at the meeting... 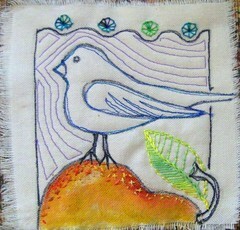 This is little piece is 4.5" square, and I drew a picture in marker, then machine stitched and hand stitched.. Voilà! An art quilt. Another little 4.5 'art quilt,' a drawn 'doodle' then all hand-stitched. These are waay fun. I want to do more. Isn't this fun!! I made it here I made this here at http://obamiconme.pastemagazine.com/ Should I make it my blogger profile photo, or is it too trendy? 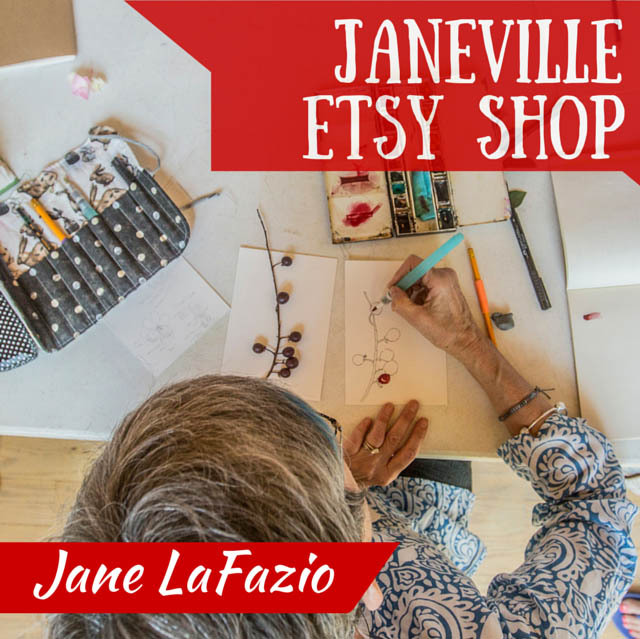 Jane will show you how to paint, collage, draw, stencil and stamp, and sew---all to make art. 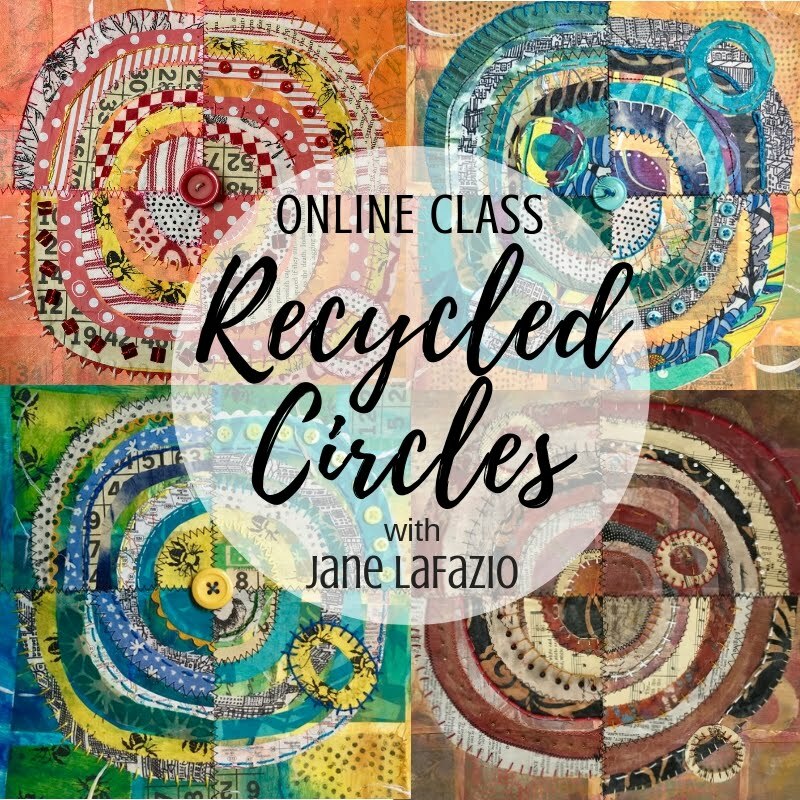 We’ll create textured, layered backgrounds first, and then Jane will show you techniques and tricks to create an image or focal point for your work. 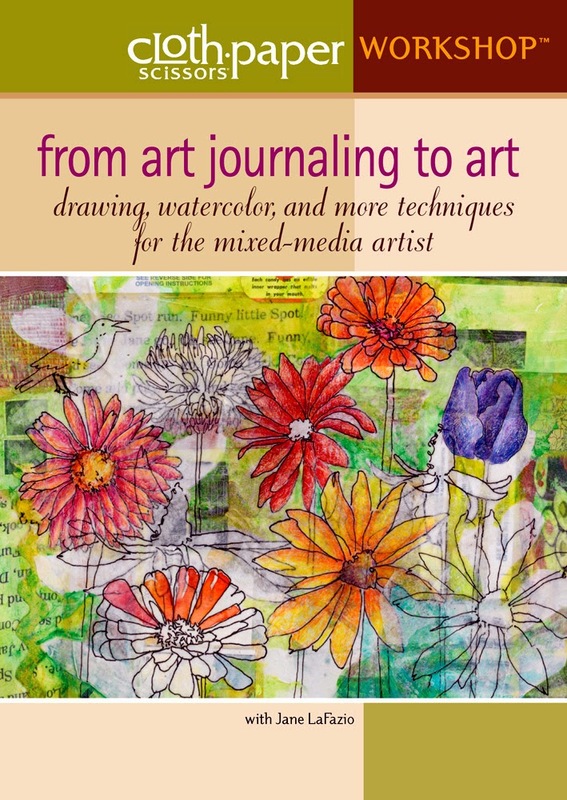 You can work large or tiny, follow the directions or not—but you will come away more creative and knowledgeable about mixed-media materials, techniques, and ideas. Almost everything in the class can be done on a paper surface OR a cloth surface or a combination of the two. 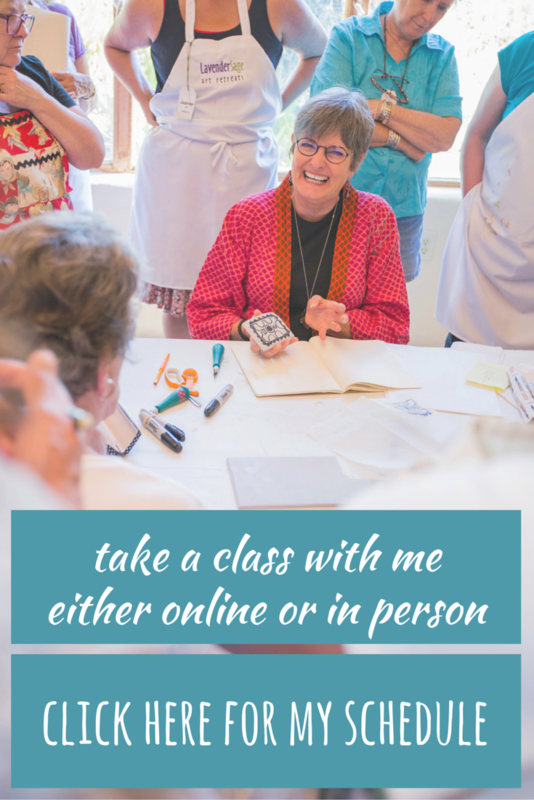 Class will be inspirational, positive, and fun, with lots of sharing, laughing, and learning from the others in the class. All levels of experience are welcome, and PREVIOUS STUDENTS CAN EXPECT ALL NEW LESSONS. Questions, e-mail Jane at PlainJaneStudio@gmail.com. Materials: a $25 materials fee will be collected in class. 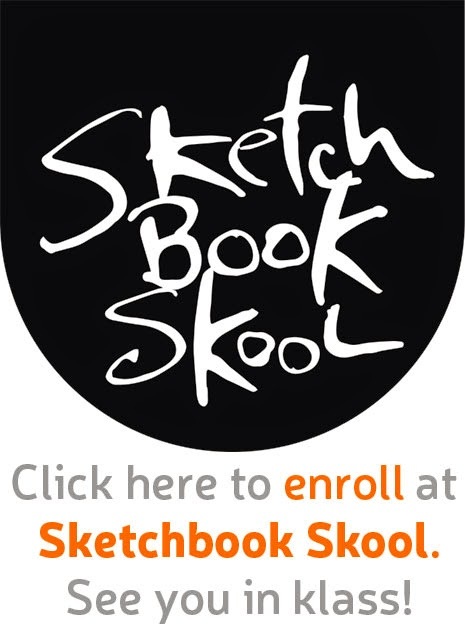 For the first day bring a small sketchbook for your own notes and doodles, a bottle of liquid acrylic matte medium, a couple of foam brushes and a sheet of 140 lb. watercolor paper. A materials list for the rest of the class will be discussed in the first class. 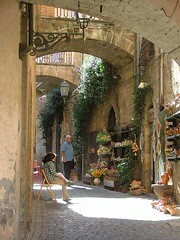 You know, I'm teaching at a retreat in Italy in May 2010...Just imagine, we'll all be sitting on the street in this picture, sketchbooks in hand, drawing, being, enjoying...Can't wait! Join me! 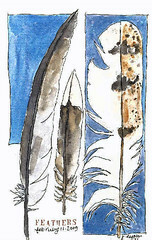 Feathers........Oh, and check out Bonnie Samuel's blog. She asked me for my thoughts on artist inspiration..
San Diego Sketch Crawl today at Bernardo Winery. Eleven people, even in the cold, it was great to get together draw and share. Remember this page from my journal. I used a Sulky transfer pen and got the bunny images on felted wool. The shiny bunny is copper foil. I'm thinking this may become a book cover. I love the transfer pens--a great way to combine my drawings with my fabric stuff. the economy and art institutions. everyday there seems to be worse news regarding the economy. BALBOA PARK: The San Diego Museum of Art, the city's largest and oldest art museum, will lay off 23 employees from across all departments, it announced yesterday. It was reacting to a 30 percent reduction in its endowment, from $77.5 million to $53 million, since the beginning of the fiscal year on July 1, 2008. The museum in Balboa Park had instituted other cost-cutting measures in November, eliminating $900,000 in expenses, including extended runs for exhibitions and the elimination of publications for exhibitions. But in the effort to reduce the fiscal year budget for 2008-09 from $10.43 million to $9.12 million, the cuts in its 107 full-time staff were necessary, said director Derrick Cartwright. On January 16, 2009 the Museum Art School at the San Diego Museum of Art temporarily closed due to the difficult economic environment and declining enrollment. The Museum will use this opportunity to understand national best practices that will ensure the school’s future success and increase participation. Spring break camps will not be held in 2009. Today is our 32 wedding anniversary. We met on St. Patrick's Day, in 1976 at a bar in Palo Alto, California. I was an international flight attendant; he worked for Hewlett-Packard in Personnel. One year later, we married (at Lake Tahoe, wearing blue jeans) and moved (with his job) to Corvallis, Oregon. We lived there 8 years, and then moved to Seoul, South Korea (with his job) for two and a half years. Then to Los Angeles (Marina del Rey--loved it!) for a year and a half, then, in 1989 to San Diego, where Don became Personnel Manager at HP. I worked full time in graphics and marketing. We lived very well. Traveled. Wore nice clothes. Then in 1992, at the age of 46, Don had a brain aneurysm. He had brain surgery, was hospitalized for a month, and had 7 years of language therapy to try to learn to speak, read and write again. Needless to say, it turned our world upside down. We had to RE-create a life for ourselves (since Don is permanently disabled because of his aphasia). Why am I telling you all this? 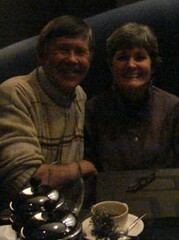 Well, today, our 32nd wedding anniversary marks 16 years since Don’s brain injury. For half of our 32 years, he has been brain injured. It’s amazing to me. As you know, from reading my blog, we have a wonderful life! We are so very happy, and live an exciting, productive life together. It wasn’t easy, especially those first years, but we made it. Definitely cause to celebrate! I'm happy to say I'll be teaching at Art Unraveled again this year. It's held in Phoenix, Arizona (in a lovely air-conditioned hotel) August 4-11. You can get the additional info on the Art Unraveled website, and registration begins February 10. 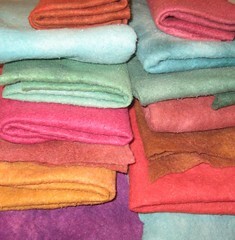 Squares of felt (cut from a larger wet-felted piece) soon to be reunited into a large and hopefully fabulous quilt.